Many people might think that blogging is a walk in the park, but that couldn’t be further from the truth. Even hobby bloggers have to put a lot of love and care into their website to make it run – not to mention business blogs like me! There’s a lot of hats to wear: programmer, marketer, graphic designer, writer, editor, photographer, artist, administrator, social media manager…. the list goes on and on. It’s enjoyable work, but there’s still a lot to do. So how does one manage all of these jobs, tasks, and to do lists? The bullet journal for bloggers, of course! 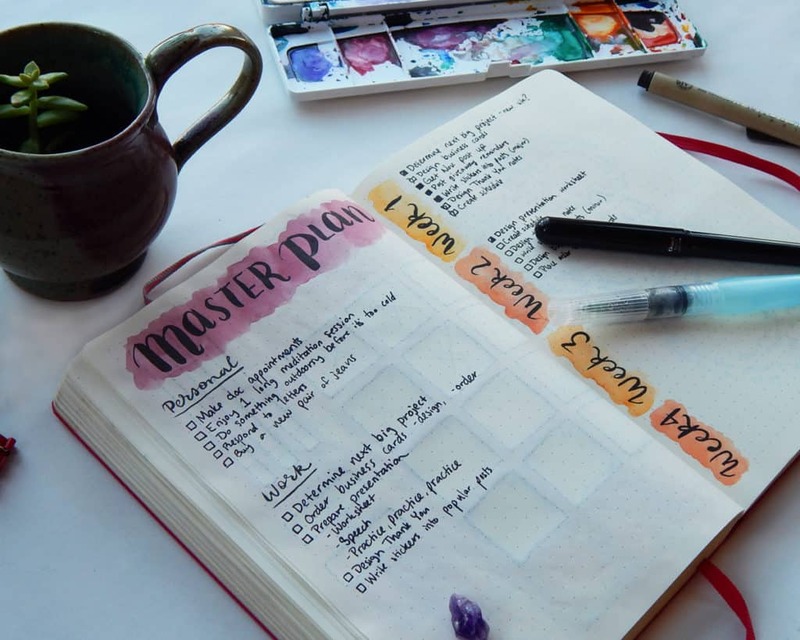 If you’ve never heard of a bullet journal, I’d suggest you pop over here and get acquainted with this fabulous planning system. Essentially, it’s a blogger’s best friend. This planning system is flexible as can be and only limited to your imagination. Cheesy as it sounds, it’s totally true! You can use your bullet journal however you desire, but it is like a Swiss Army Knife for starting and running a business. Are you on the fence about starting a blog? Get your basic info on beginning your blog and a $50 discount on a Dreamhost service in my How to Start a Blog post, then come back here and apply the information in this post toward managing your new blog! I swear it’s the only thing keeping me balanced with blogging and regular life. Let me break down all the ways that I use my bullet journal to juggle all the things that come with running a blog! By the way, I’m going to be showing you lots of different spreads, pens, and other materials. To see what I use and where to grab some of these supplies, head over to my supplies page! And one thing that is pretty darn necessary for my job is good music. That’s why I would wholeheartedly recommend you try Prime Music free for thirty days (or six months if you’re a student) and experience the bliss of ad free stations. It’s magical. Every blogger knows that you need to plan ahead for posts, holidays, and other events so they don’t sneak up on you. The bullet journal is great for just this, because you can select how broad of a scope you want to plan with. Some people prefer to plan week by week, or in biweekly increments. Personally, I like planning in month-long swaths. I use a monthly planner to check in on my goals, both personal and professional. You can peruse my full monthly spreads right here to get a better idea of how I set everything up in my Leuchtturm journal. But there are a few things I want to specifically point out as excellent tools for the blogger. 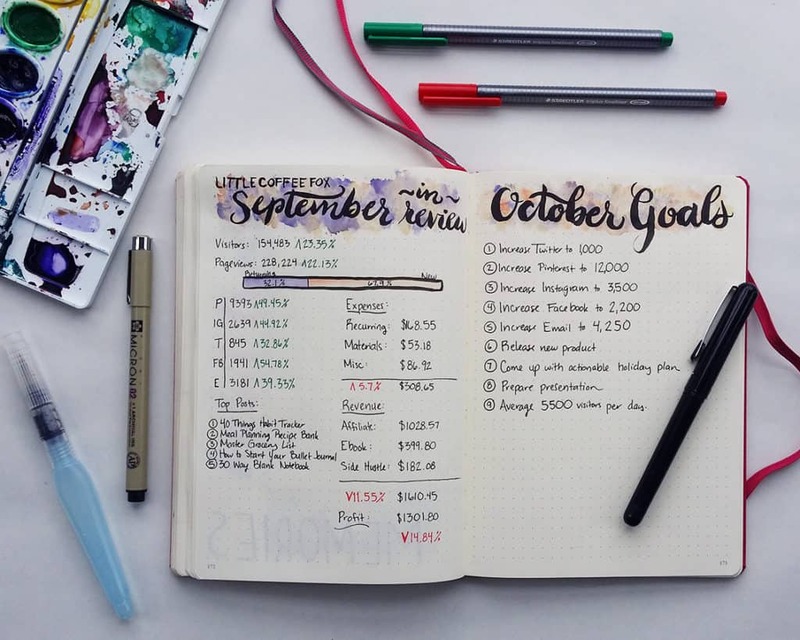 Recently, I implemented a new planning system to help me grab some of the bigger goals for the month and break it down into more manageable pieces. I have the master plan on one page and a four week breakdown on the other. That way I can list out all the things I want to accomplish in the month under the master plan. Then, I figure out the smaller steps to get those big tasks accomplished and place them in the week breakdown. This technique helps me bridge the gap between my dailies and my bigger goals. Each month, I like to dedicate a page in my monthly spread to looking at the previous month’s numbers and income. I like to see what worked and what did not work for the blog so I can adjust. Then I like to set goals for the new month, looking specifically at social media, projects, and income. This helps me see a general overview of how everything is growing (or not), which is vital to knowing where to go next. Recently, I’ve moved all my financial planning to a Northbooks journal. This streamlines my monthly page to the essential information and lets me ponder the finances in greater depth somewhere else. 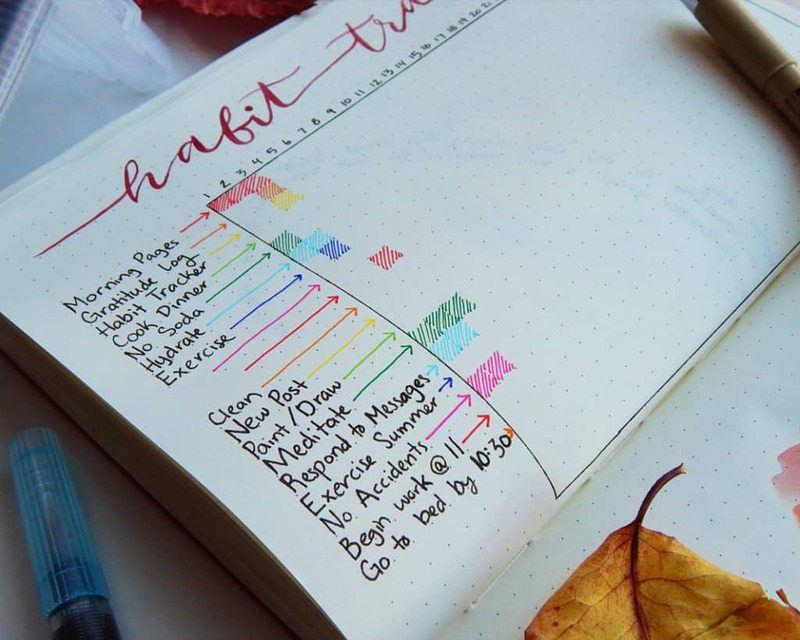 The habit tracker is a phenomenal little chart that has a ton of uses. I fill in this tracker every night to record data of how often I am doing certain tasks. This allows me to see at a glance how frequently I’ve been doing blog-related activities, like responding to messages or publishing a new post. It helps hold me accountable and provides me with data points long after the month is gone. And if you know me, you know I’m a sucker for good data points. Also, the habit tracker is a great way to keep yourself from hitting burnout. You can track how often you do self care activities, like exercise or hobbies. It’s a simple way to keep you from getting too wrapped up in work and keeping that all-important balance I was talking about. The bulk of all my planning happens in the humble daily entry. I set it up (sometime with stickers if I don’t feel that I have time to make it look nice) and get right on running with all the things that need to be done that day. A little daily to do list might not sound like a huge revelation, but trust me, it’s amazing. Having all of my tasks in one journal with a mark indicating the level of completeness creates a detailed log that I can reference whenever I need. I can see exactly which day I sent a certain email, make notes for important info in my dailies, and know which day I didn’t complete a task and where the task got moved to. And having it all in one location also makes me 856x more likely to use it each day. One of the things that you can do in the bullet journal for bloggers is brainstorm to your heart’s content. Each new page is wide open for your use, so everything’s fair game! Here’s just a few ways I’ve used these unstructured pages to plan and organize my business. I have used subject-specific checklists countless times, both for the blog and other stuff (like wedding planning). 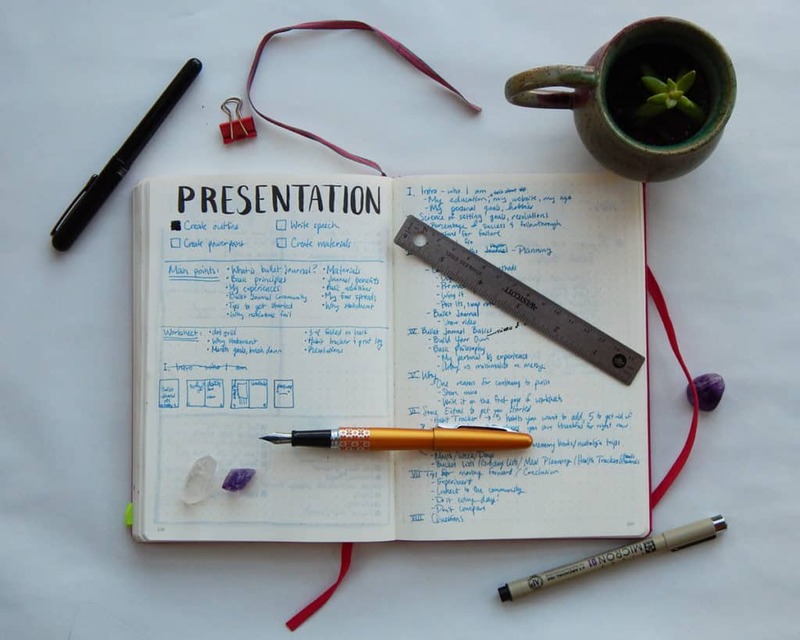 For example, I have a bullet journal presentation coming up on December 3rd in Chicago. To help me organize my speech, I laid out the outline, drew up a draft for the materials I’m designing, and listed a few steps to properly prepare for the event. It’s simple and all in one place. 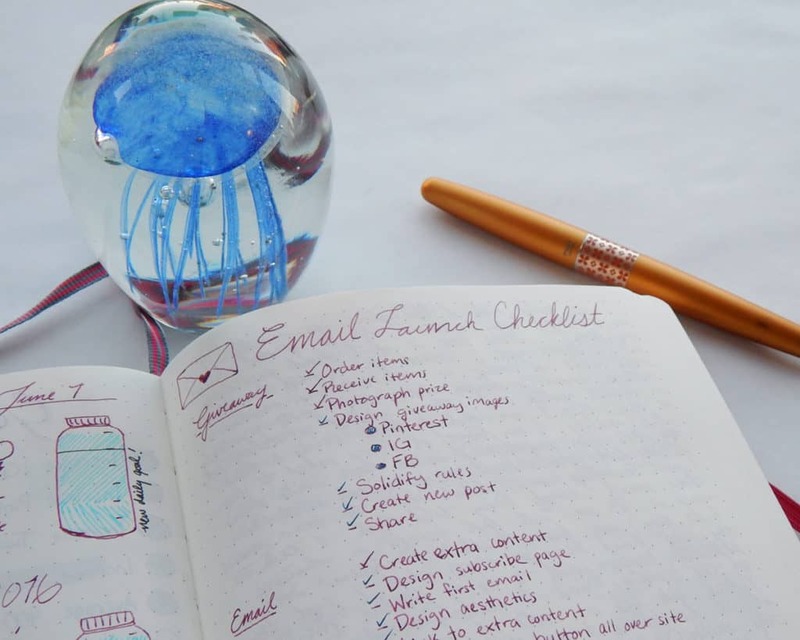 An older example of a project checklist is my email list launch prep. I was hosting a giveaway to kick off the email list launch, so I kept these two batches of tasks together on the same page for ease. If you don’t have an email list for your blog or online business, you totally should! I use Convertkit and I love it. So go build your email list! It’s seriously one of the most important ways to reach your audience. I have also used several pages for brainstorming ideas for the blog. One of the most direct and applicable examples of this is my blog post idea page. It’s a great place to keep all the different ideas for new posts all in once place. This page has helped me tremendously on days when I wasn’t feeling too creatively inspired. Just flip to this page and BAM – inspiration is just oozing off the paper! Another way you can brainstorm is with a mind map. Just let the ideas flow to you naturally with this organic listing method. It’s an excellent way to connect ideas and themes for future projects. I also keep a few pages that I reference time and time again for blogging purposes. One of the most useful is my password log. Some people might not be comfortable with keeping them all in one place like this, but it’s ideal for me. I used to try to keep them scattered and separate, but then I’d lose them and forget my login. So I said screw it and kept it all right here. I work from home, so I don’t exactly have the chance to misplace my bullet journal in the outside world all that often. 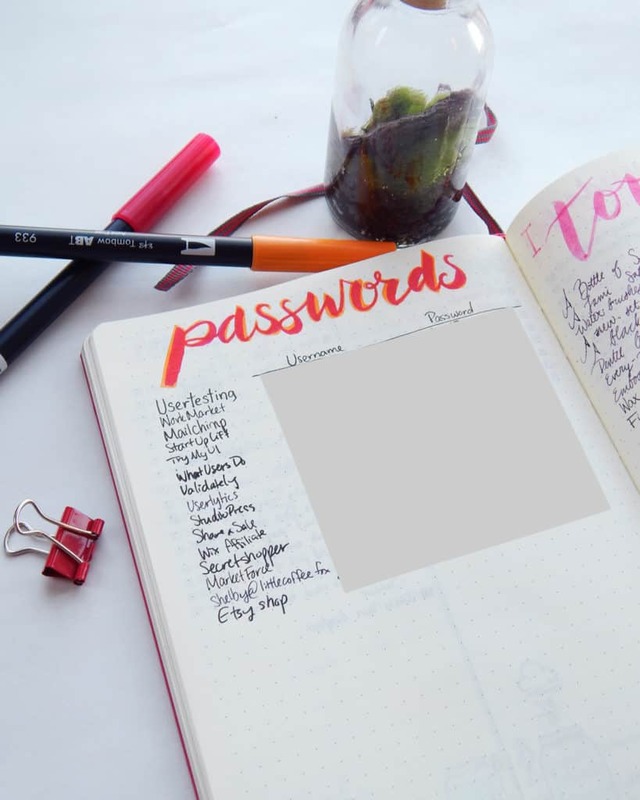 Also, I don’t keep passwords for super important stuff, like bank information, in my journal. This is strictly blogging related accounts that I might need on a daily basis for business. Another list I religiously keep is an Instagram hashtag reference. 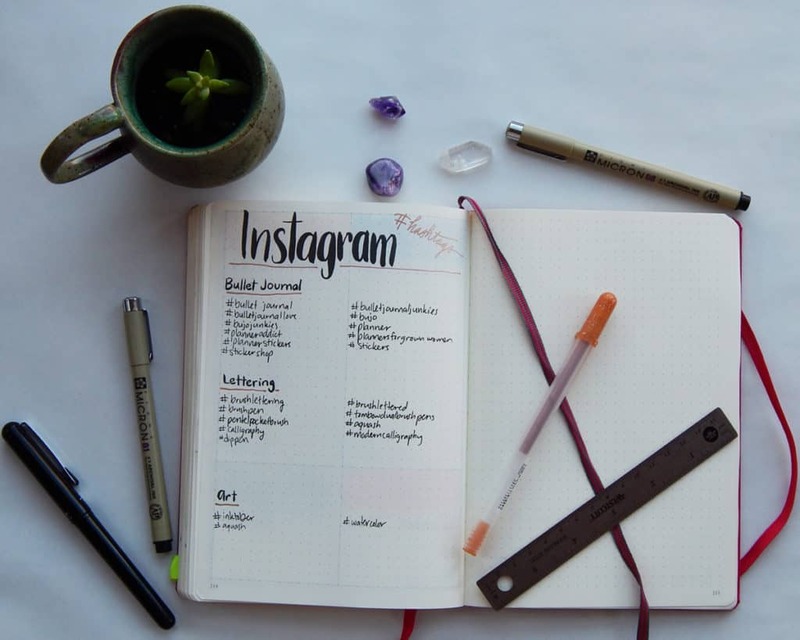 For a business trying to grow an IG account, this is vital. Hashtags are the blood of Instagram, so knowing how to use them is totally necessary for success. Keeping a place to jot down new hashtag discoveries is fantastic to aid in growth. Oh, and while we’re talking about it, why don’t you go follow my Instagram? Thanks! 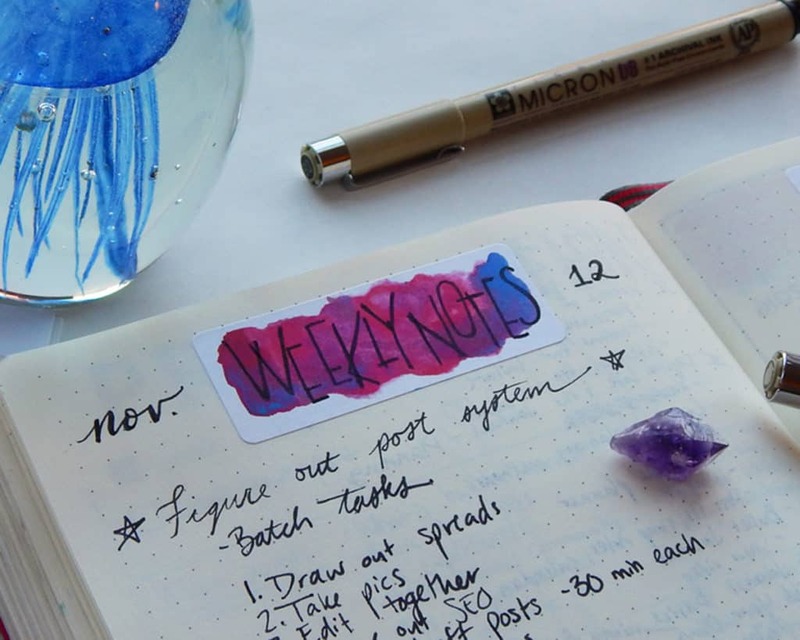 A place to keep notes is another essential in the Bullet Journal for Bloggers. 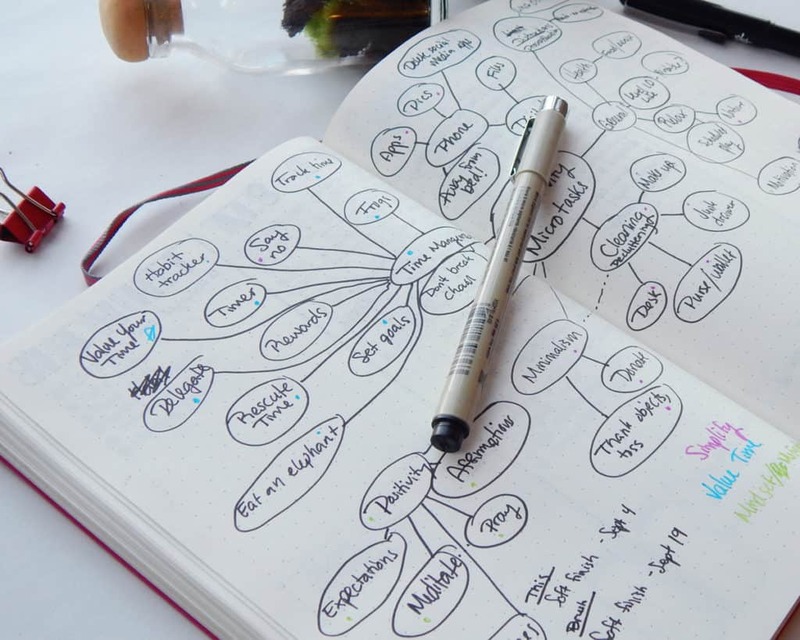 Whether it’s about a specific project, meeting notes, or research notes about a business strategy, being able to keep your notes all together for reference is crucial. Here’s some notes from when I was editing my eBook. Here’s a peek at some of my internal weekly notes. Jon and I try to schedule one meeting each week to determine where we are with our goals, both personal and professional. We chat about the blog, our plans, habits, and his school work. It’s a neat way to hold each other accountable for stuff going on in each of our lives. One rather unique collection in my bullet journal is the Pinterst log. In an attempt to step up my pinning game, I started to strategically share pins to maintain a cycle and keep to the rules of all the group boards I participated in. While this was a pretty good system, I’ve since moved to BoardBooster to manage all my Pinterest activity. It’s just loads easier to handle and it frees up my time to create more free content. If you’re tired of managing your Pinterest account manually, maybe it’s time to give BoardBooster a try. You can even get a free trial to automate your first 100 pins for free! One of the benefits of planning on paper is the ability to get all those whirling worries and stressors our of your head. Some people call this a brain dump, and it can be extremely cathartic to list out all those tasks. This can be a periodic thing when you’re feeling particularly overwhelmed or it can be a working log of lots of tasks. Personally, I reserve it for the kinds of tasks that have no specific deadline. They just need to be done at some point, and thus they need to be written down. 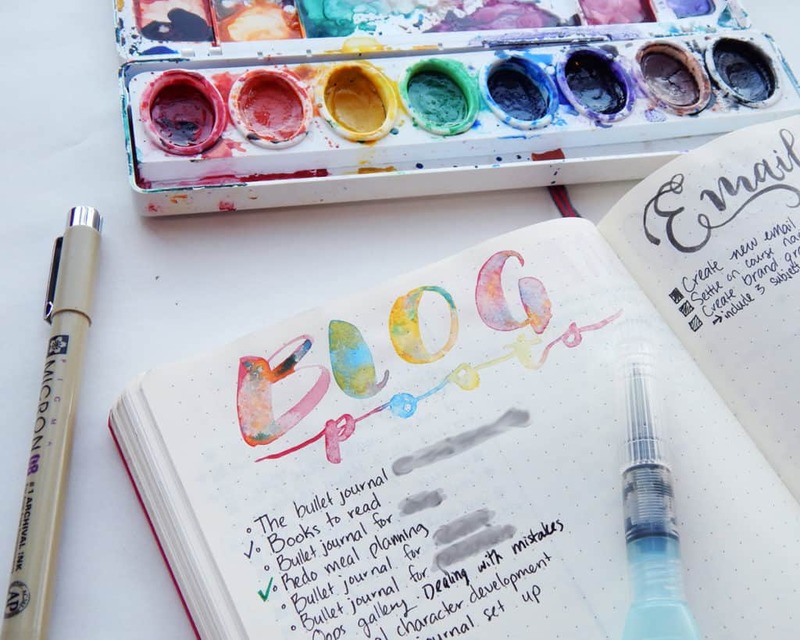 If you are currently doing your research for starting a blog, then nice job! It’s fantastic to make a plan and know what you’re doing before you jump in head first. Make sure you check out my post about how to start a blog so you can see some more technical details and snag that exclusive $50 discount for Dreamhost. It will make the first year of your blog much more affordable! And whether you are an experienced blogger or a newbie, don’t forget to read up on my blogging resources page to grab some exclusive deals and free trials for some of my favorite blogging services. 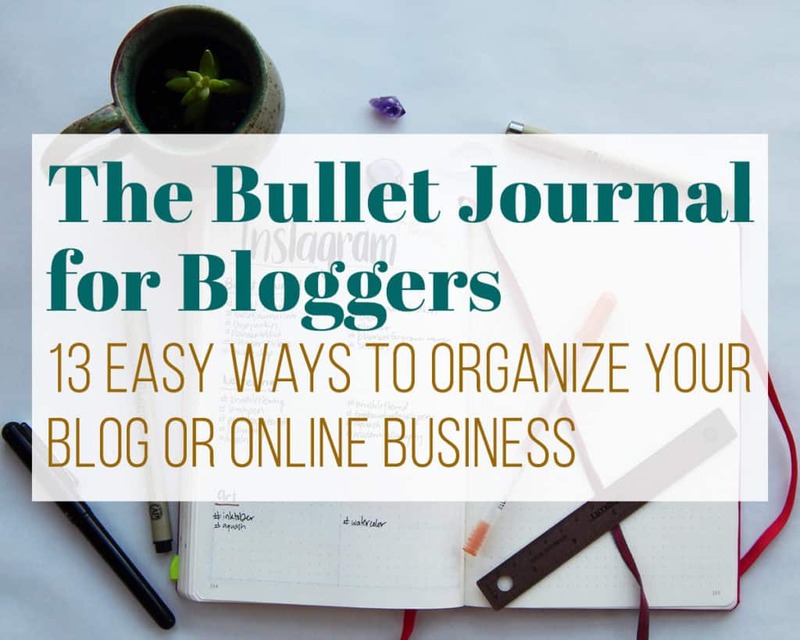 Whether you are just get started blogging for fun or income, a seasoned blogger, or as an addition to your existing online business, a bullet journal can help you immensely. This system is more flexible than any other type of planner, which makes is simply perfect for your job as a programmer/artist/writer/photographer/salesperson. You can manage tasks that must be dealt with each day, plan for future projects, track ongoing efforts, and have a detailed record of your past business dealings. There is no end to how a bullet journal can help your blog – and you – succeed in the online world. P.P.S. If you sign up to the Fox Den Resource Library right here, you can get lots of tutorials, worksheets, printables, and more. Plus I sometimes send emails exclusively for bloggers like you with tips and tricks from my years as a blogger. So sign up and get in on this! This was wonderful! I’ve been looking for something to help me get organized with my blog schedule and tasks. This is the perfect method. Thanks for posting. I’m glad you found it helpful, Cynthia! Good luck Erin! The bullet journal has helped so much in keeping my blog on track. I was going to get my blogging Bullet Journal set up this weekend when I found this post on Pinterest! Perfect timing, as you have a lot of great ideas in this post! Thank you so much for sharing! It’s great to hear you’ve found this helpful Keri! Best of luck to you on your blogging journey. Hi I’d love to be involved as a guest writer but the link is no longer available! Are you still looking? Thanks for your interest Charlie! We are not currently taking on any new guest writers. However, if you are signed up for our newsletter you will be sure to hear about any future openings. Oh my God! You helped me a lot! 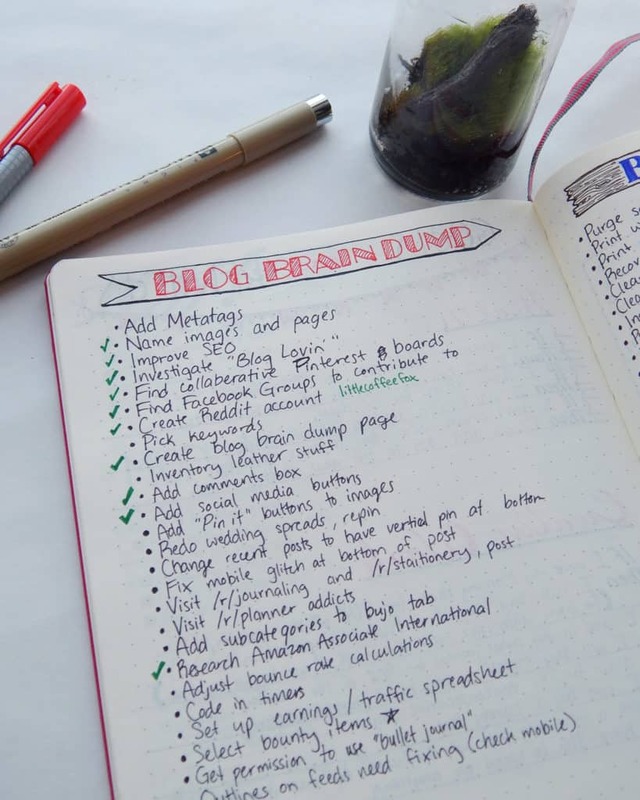 I just started a blog, and I was having problems with organization, but after I read this post and did this Bullet Journal for bloggers my life got much better! So glad to hear this was helpful for you!! Hey there I’m loving this! Following you now 🙂 I’ve been bujoing (new word?) for about a year now, getting into finally launching my blogs and wanted to incorporate the bujo. Thank you for the inspiration. Curious though, I love watercolor and am curious on what you use to do that in the book? Not just reg brush it’s like a pen with the color in it or just water? Does it just allow for precise letter making? Thanks! hai, nice to read! well-organized. I love this idea! I think I will start doing bullets to organize my planner. Also, using brush pens is a great idea too! 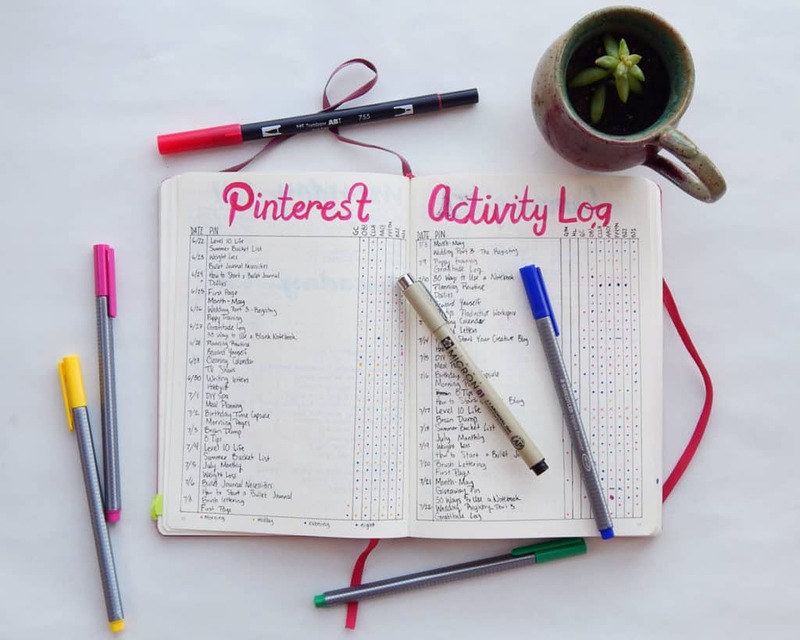 It really is a great way to get your planner organized and help you be more productive! 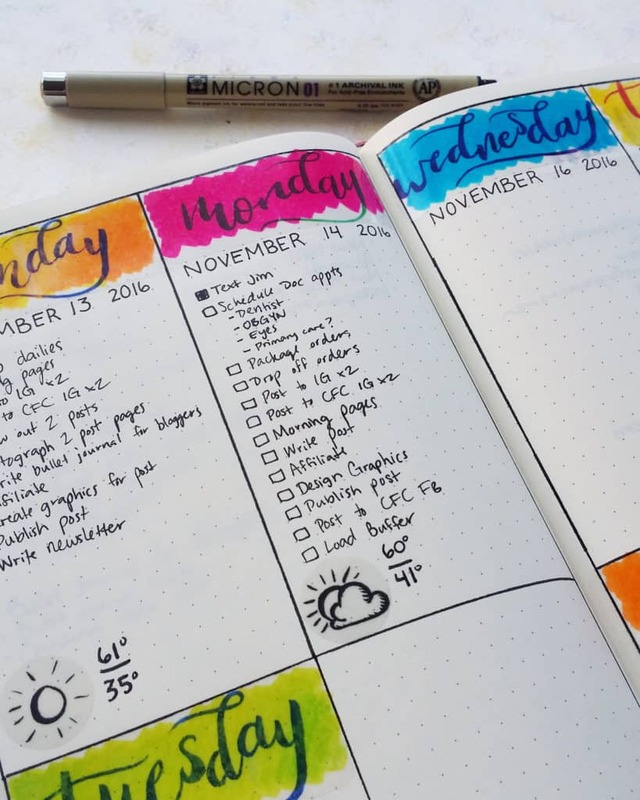 Congrats on finishing your first bullet journal, Tania! That’s really something to be proud of, so give yourself a mini celebration 🙂 And awesome, I’m thrilled that this weekly layout made something click for you. Have fun setting up your new journal! I’m so glad you enjoyed the post, Kylie 😀 And good luck with starting your new blog! Hey Shelby, this post (and site) is full of inspiration. Even though I’m a geek, I love writing with pen and paper. Sometimes I feel more focused and productive on paper. Especially for brainstorming ideas. I journaling my activities through an app on my Macbook. 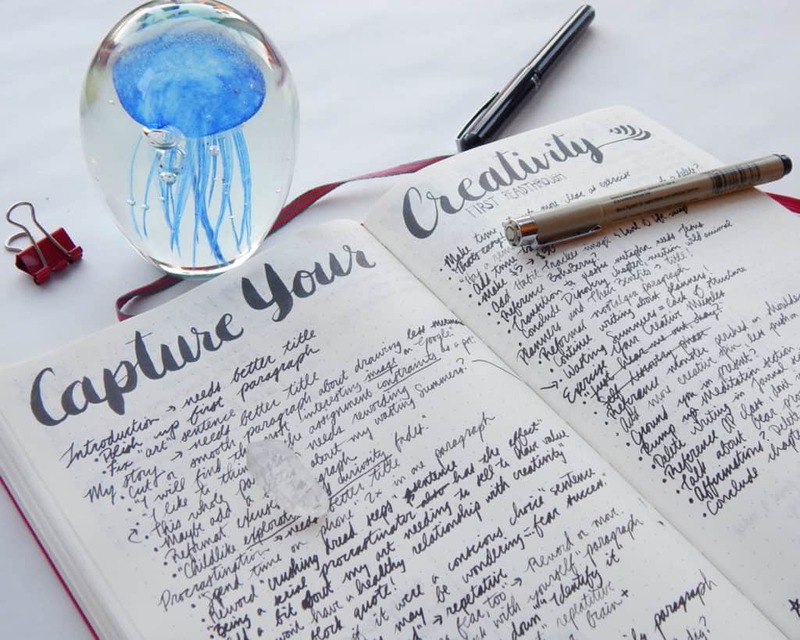 I will definitely borrow your method to create a new bullet journal. Thanks for sharing all these techniques with us. Off to share your post on my social media networks. I feel the same way, Steve! Computers and phones just have too many temptations that leave me distracted and dazed. There’s a real zen to pen and paper planning. I hope you enjoy creating your new bullet journal, and thanks so much for sharing! Hello Vicki! I use an A5 sized Leuchtturm, but I also write rather small. That might be why I can fit so much into a single spread! If you can’t fit several days onto a page, don’t worry about it 🙂 It probably just means that you’re busy and you need the space to get all your tasks down, which is great! And thank you so much for your kind words <3 I'm so glad you like the shop! Thanks so much for sharing! There’s so many ideas in this post. If you want to make password storage easier and more secure, I highly HIGHLY recommend a password manager (I use KeePass2). It is, hands down, one of the most valuable tools for internet security in existence; not only does it help avoid that awkward moment where you can’t remember your username or password (you can just copy-paste from the app), but it also auto-generates secure passwords and ensures you have a unique password for every single account. It really is fantastic. That’s a great tip, Nicola! I’ll definitely need to check that out. I’m always looking for more ways to beef up my internet security! Is this the a5 hard cover? How many pages? What a great post. Thanks for sharing your ideas. I’m becoming more consistent in my blogging skills and I am looking for ways to be more organized and focused. It’s my pleasure, Dani! Thanks so much for reading 🙂 I hope it was helpful!